I’m a wee bit of a DIY addict. My husband and I have tackled some beyond crazy remodeling in our 14 years together. I really do not know how I lived without my iPhone. I smile alot…I know it’s annoying to many, but I have much to be joyful about. Spending time at the fabric store or the plant store will always put me in the best of moods. I love vanilla cake and ice-cream. Man oh man, I seriously could eat them daily. But I don’t. Far too often what makes complete sense in my head comes out verbally like I’m basically delirious. My vice is chai tea. I’m an addict. It makes me so happy. Audio books have become one of my new favorite things. I hate exercise, but I do it because well, I’m 41 years and two littles now; gotta keep up with them. ha! I believe you should only have things in your home that you love or the things that help you do what you love. Get rid of everything else. I’m not very good at following ‘recipes’. I’m very much a wing it gal. I tend to be very silly at times because really life is too short not too. I grew up in the most quaint town in Texas with the most incredible family and community a girl could ever ask for. Later went on to get my B.S. degree from Sam Houston State, because well, that is what you do right? 😉 Moved to the big city of Houston on my own a got my first ‘job’. Met and married my amazing husband. Worked in recruiting (my first ‘calling’) for seven years. I loved the work, the company I worked for and was pretty darn good at my job. I thought I would do it forever. After a trip to New York City in 2009 and a new dslr camera, I took up photography as a side business. I mean, who does photography full time? At least this was my thinking at the time. By 2011, my ‘side job’ was taking up more time than ever. 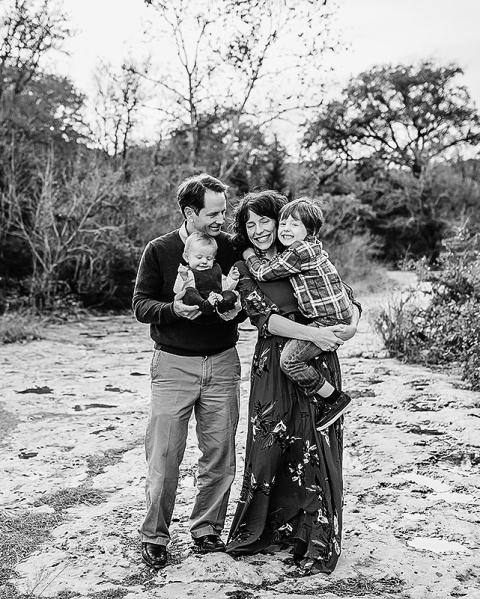 On a leap of faith, I left my recruiting career to pursue my family photography business ‘officially’ full time, which had become full time at that point. That decision turned out to be a great one. Business really too off and life was pretty grand. In 2013, our world changed forever as we welcomed our son into the world. Then in 2017, we welcomed our daughter to complete our family. What a joy they are for us and now that I am a mom, photographing families has become even more personal and important to me than ever before.